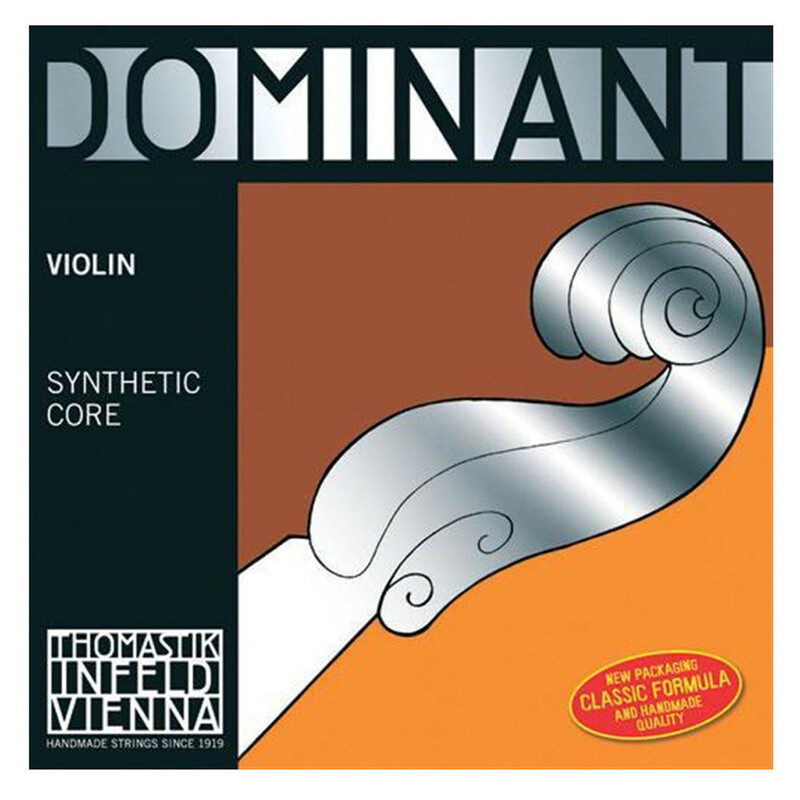 The Thomastik Dominant Violin A String brings a great blend of warmth, brilliance and clarity to your playing. The Dominant strings feature a flexible synthetic core that brings an identical likeness to a real gut string. The string is aluminium wound for excellent flexibility and tonal versatility. This model has a slightly lighter gauge tension for a better range of tones. The sound produced is soft, yet maintains its clarity amongst the rich overtones and can produce an energetic twang.